The address that housed the beloved Cafe Chloe, which closed last year after pioneering into the East Village back when the area was commercially barren, has been taken over by ramen master Sam Morikizono. Known for operating multiple locations of Tajima Ramen in and outside of San Diego — and also Cloak & Petal in Little Italy — the Japanese-born chef is supposedly leaning toward a menu that focuses on grilled meats, including premium cuts of beef. Still unnamed, the restaurant is due to open in late spring. 721 Ninth Ave. The eatery, which opened less than a year ago, differentiates itself from other Mexican kitchens by using gourmet taco fillings such as rib eye, pork belly, local fish, rainbow cauliflower and more. The write-up also spotlights owner Frank Vizcarra’s stint in the professional soccer world and his corporate vice-president roles with Pizza Hut and McDonald’s. 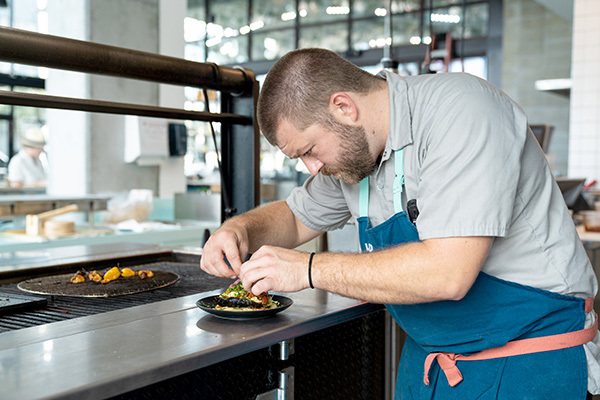 Kudos are given as well to executive chef Andrew Bent for his modern approach to taco-making. 1290 F. St., 619-542-9155, lola55catering.com. Esteemed chef Anthony Sinsay cooked his last meal at Jsix on New Year’s Eve before leaving town to head the kitchen at Outlier in Seattle. 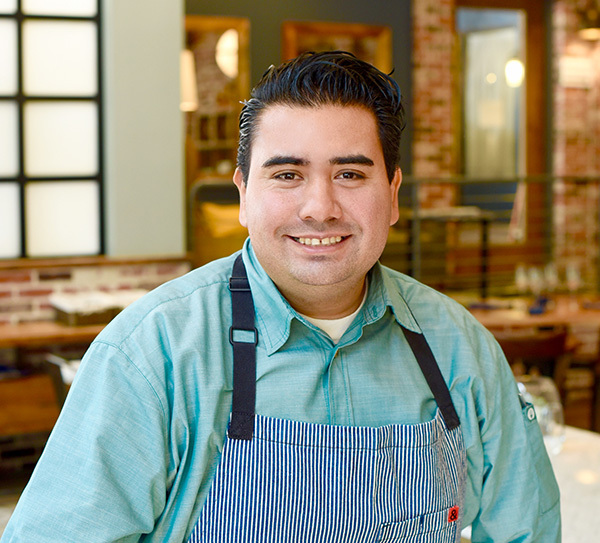 The San Diego native joined Jsix at the Solamar Hotel more than two years ago and was lauded for injecting his Filipino roots into the menu. He takes to the Northwest a full resume of culinary experience that includes cooking gigs at Nobu Las Vegas, Harney Sushi in Old Town and Duke’s La Jolla. His vacancy, according to a source, may take at least a month to fill. 616 J St., 619-819-9567, jsixrestaurant.com. North Park’s 2-year-old Holy Matcha is branching into the East Village in the coming months with a small cafe specializing in a variety of beverages made with trendy matcha tea. 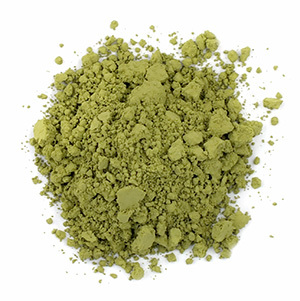 The green powdered product also shows up in a variety of treats and noshes. For this second location, we’re told the design will be “minimalist” compared to the standout pink banquettes and tropical wallpaper at the original location. For reasons unknown to us, the new location is being kept a secret. holymatchasd.com. Self-serve beer taps are all the rage at WhipHand, a new Gaslamp Quarter restaurant and bar that bills itself as an “American brasserie.” Headed by Grind & Prosper Hospitality, which also runs Miss B’s Coconut Club in Mission Beach and Park 101 in Carlsbad, the 2,000-square-foot space shows off wrought-iron elements and an open kitchen, not to mention a full bar rigged with 24 taps that customers maneuver for their pours. The food menu extends to lobster rolls, seafood pies, artisan sandwiches and fingers foods, all presented by culinary director Quinnton “Q” Austin, who applies some of his Louisiana roots to the cooking. 935 J St., 619-450-5515, whiphandsd.com. The ever-evolving structure in the East Village that was The Carnation Milk Factory nearly 100 years ago is once again undergoing a conceptual transformation. What was most recently Harvest by the Patio by The Patio Group has been closed to make way for a February-March opening of Himmelberg’s. The new venture is named after the late Joey Himmelberg, an avid surfer who was a close friend of the restaurant’s group’s CEO, Gina Champion-Cain. 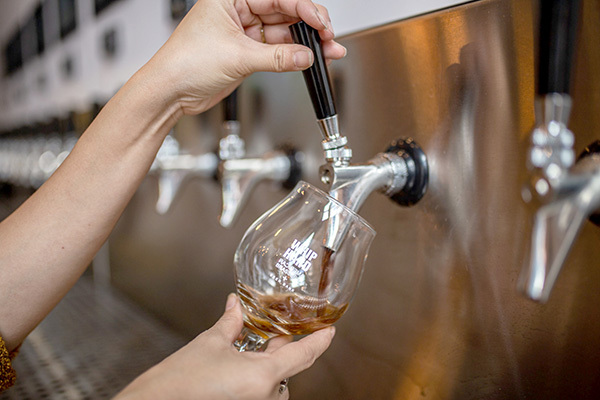 The re-branding will usher in a vintage rock n’ roll theme, Himmel Brew beer, and casual bar fare using sustainable ingredients. 369 10th Ave., thepatiogroup.com.